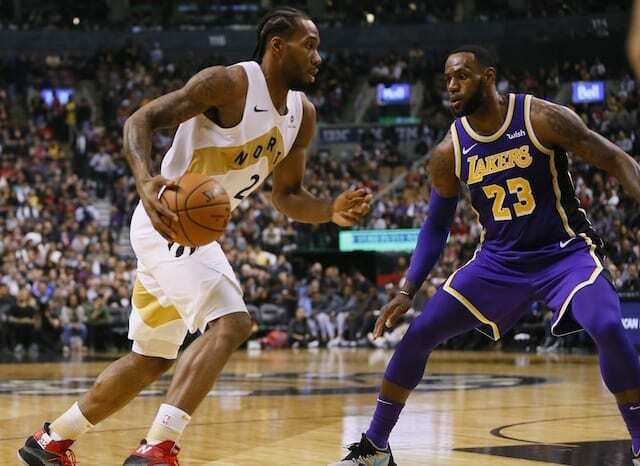 While the Los Angeles Lakers skidded into the All-Star break on a three-game losing streak, the time off suited them well as the team has since won three consecutive games. Albeit on a minutes restriction, they’ve had rookie point guard Lonzo Ball for two of those wins. As Ball remained sidelined by a sprained MCL in his left knee, Lakers head coach Luke Walton elected to begin starting Brandon Ingram at point guard. 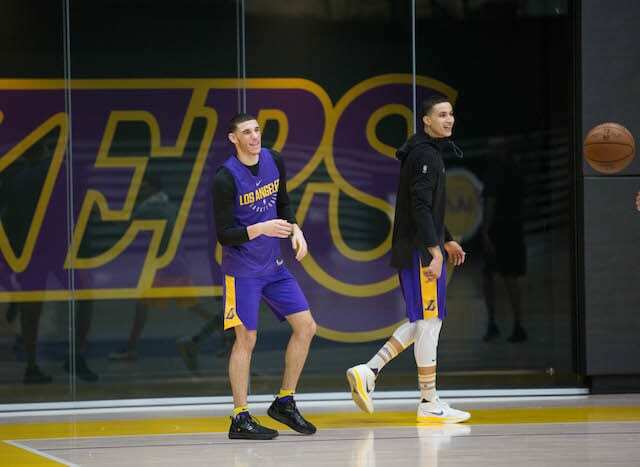 The domino effect included Josh Hart being inserted into the lineup. Hart responded well to the increased role, grabbing a career-high 14 rebounds against the Brooklyn Nets on Feb. 2, when his string of starts began. Lakers rookie Josh Hart has suffered a small fracture in his left hand and team is evaluating surgical or non-surgical options, league sources tell Yahoo. If Hart and the Lakers are to opt for surgery, it presumably would effectively end his season, as only 22 games remain. It would also bookend a rookie year that began with injury trouble. In 10 games since becoming a full-time starter, Hart had scored in double-figures eight times and produced four double-doubles. 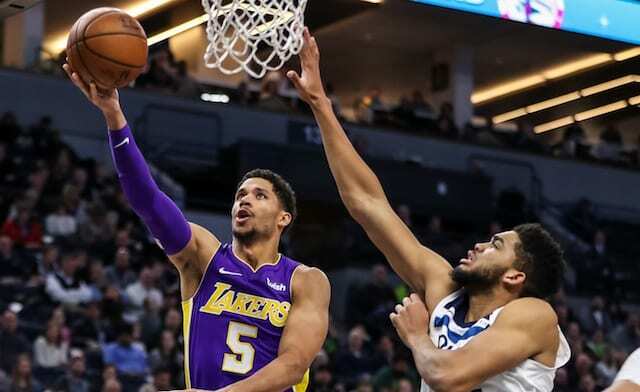 While Walton had seen signs the rookie was capable of contributing on the glass, he, the coaching staff and teammates have been blown away by Hart’s prolific rebounding. Hart is averaging 6.6 points and 3.7 rebounds in 55 games (20 starts) this season. Beyond impressing in the new role, his presence is needed in some part for depth as well.